Farmington, New Mexico July 27- August 6, 2017! Connie Mack All Access Pass! 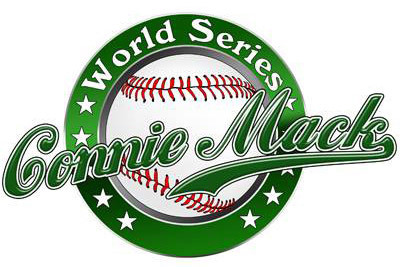 The field of teams in the Connie Mack World Series will be expanded from 12 to 17. The East Cobb Yankees, Midland Redskins and SoCal Renegades will receive automatic berths into the tournament. Eight teams will advance out of a newly added pool-play weekend. They, along with the host team, will face off in the world series. Fans with reserved seats for the series will be charged an extra $10 for pool play over the weekend. 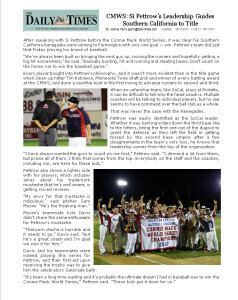 FARMINGTON — The addition of pool play and an expanded field of 17 teams are among the many format changes coming to this year’s Connie Mack World Series, according to Carol May, chairwoman of the CMWS Committee. The American Amateur Baseball Congress proposed the changes at the annual AABC meeting in October, and the CMWS Committee agreed to them. 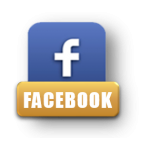 The changes will be implemented starting with this year’s tournament. The field of teams will expand from 12 to 17 and a weekend of pool play precede the double-elimination tournament, May said. May said adding more teams and extending the event will bring more of the best amateur competition in the country to Farmington. The qualifying teams are scheduled to arrive on Thursday, July 27. On Friday, July 28, there will be a manager’s meeting, the parade, the home run derby and the fungo skills challenge, followed by opening ceremonies in the evening. Pool play will take place over weekend from July 30 to 31. The host team will be exempt from pool play, which will consist of four teams in four pools, for a total of 16 teams. The two teams with the most wins in their respective pools at the end of the weekend will move on to play in the world series. 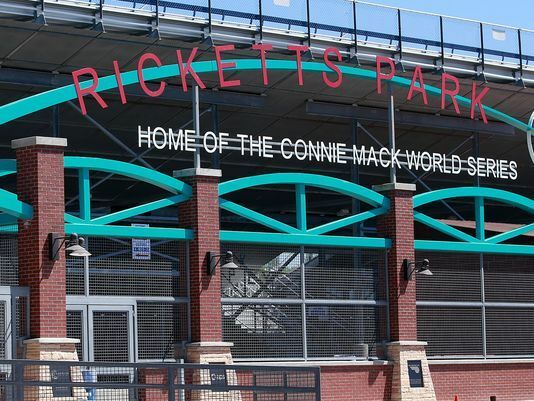 Pool play games will take place simultaneously at Ricketts Park, Worley Field and Field No. 1 of the Farmington Sports Complex. Eight teams from pool play, along with the host team, will play in the double-elimination tournament, which will start on Tuesday, Aug. 1. The championship game will be on Sunday, Aug. 6. Another new addition will be a scheduled day off for teams on Monday, July 31, before the start of the series. That day, the eight teams who came up short in pool play will fly home, while the other eight will move in with their foster families. Also that Monday, a manager’s meeting will be held to draw seeds for the tournament. The host team is set to play against the team that draws the No. 2 spot. The team that draws No. 3 faces No. 4, No. 5 faces No. 6, No. 7 plays No. 8 and the team lucky enough to draw No. 9 gets a bye into the second round. The Midland Redskins, the East Cobb Yankees and the Southern California Renegades — three of the most successful teams in CMWS history — will receive automatic bids into the field of 17 teams. May said that change is designed to create more parity in those teams’ respective regions. The CMWS Committee met again on Thursday to hammer out start times for the two Aug. 6 finals. Instead of playing the games at 5 and, if necessary, at 7:30 p.m., which was the original plan, the committee agreed to move up the game times to 1 and 3:30 p.m.
Those with reserved seats for the CMWS will be charged an extra $10 in their mailed ticket statements to cover pool play weekend. Jake Newby covers sports for The Daily Times. He can be reached at 505-564-4577.